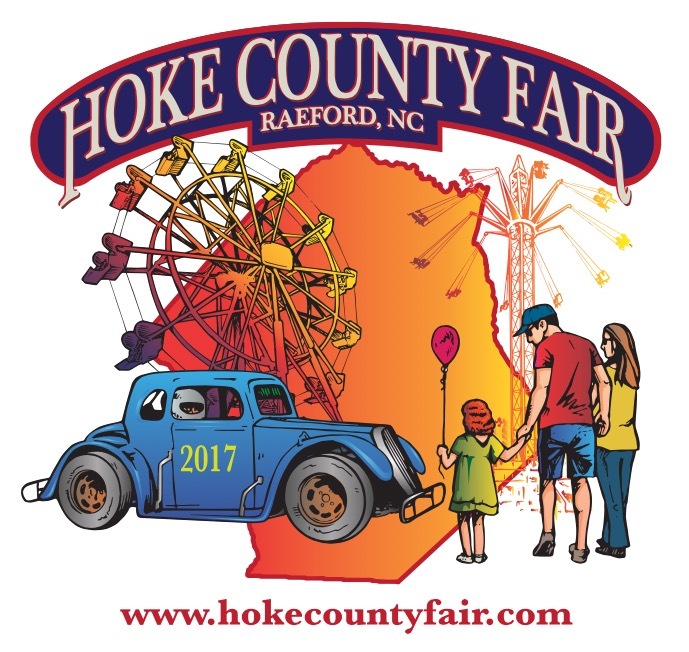 WELL, almost a years worth of work is coming to fruition Tuesday September 19 at the Hoke County Fair. 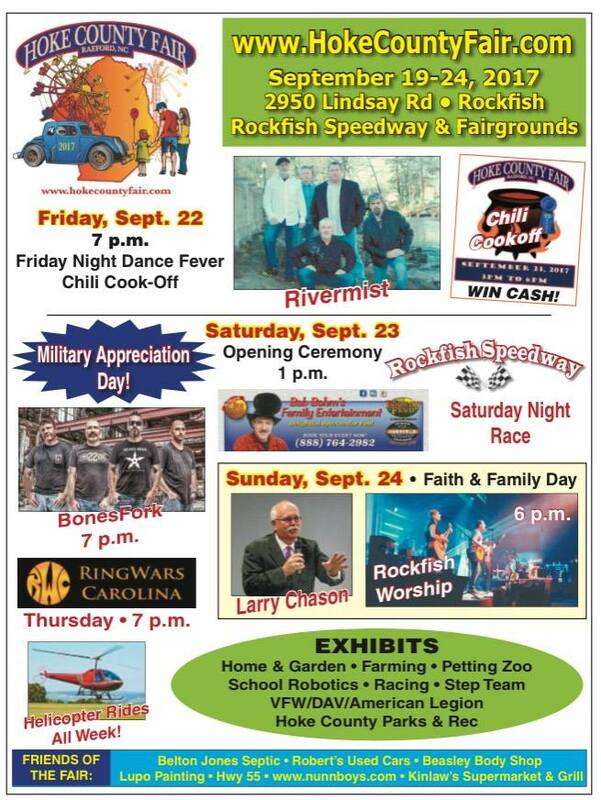 We have 22 board members, 30 sponsors, 32 vendors, a midway of rides and games that are completely awesome, Ring Wars Carolina Pro-Wrestling, 5 LIVE music acts, Military Appreciation Day, Faith and Family Day, Student Night, Senior Night and ONE BOG HUGE Rockfish Speedway Race Night !! A Comedian Every Night, Chili Cook Off (you could win $200) Helicopter Rides, 7 Exhibits, Petting Zoo, Pony Rides, Arts, Crafts. WE ALSO want to welcome anyone to come to out Ribbon Cutting on Tuesday September 22 at 2:00 pm. We are continuing a tradition that started back in the 60's with the JayCee's Fair in Raeford. (We Invite All Those who were Involved with the JayCee's Fair to come out) Visit www.HokeCountyFair.com but first PRAY for all the workers and fair-goers as this is a HuuuuGE event. Don't forget RWC Pro-Wrestling is Thursday night September 21, 2017 with a Bell time of 7 pm. All The Top RWC Superstars will be in the building, see you at " Fair Warning 2" Hoke County Fair 2950 Lindsay road in Raeford NC!!! !